Call: Men’s event complete – congratulations Mick! 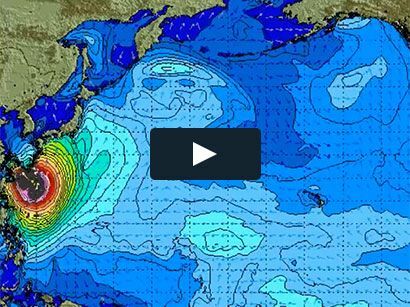 Surf News Network. 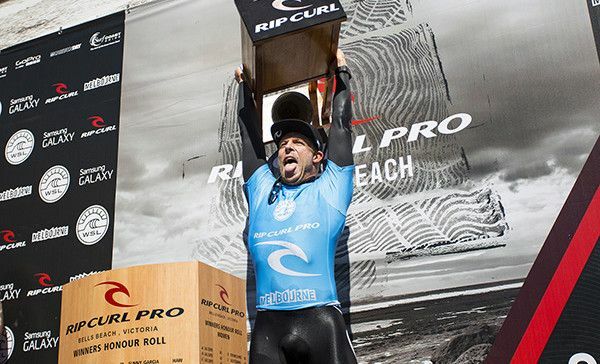 BELLS BEACH, Victoria/Australia (Thursday, April 9, 2015) – Mick Fanning (AUS) has won the Rip Curl Pro Bells Beach after battling 2013 Bells Beach winner Adriano de Souza (BRA) for the right to ring the Bell. Finals Day at the 54th anniversary of the event saw conditions clean up for the 35-minute bout while the two Bells champions delivered the closest Final in Championship Tour (CT) history. Mick Fanning (AUS) on his way to winning the 2015 Rip Curl Pro Bells Beach. De Souza was first take a wave in the Final for a small score, backing it up with 20 minutes remaining to put the pressure on and leave Fanning scoreless. The Australian went down on his first ride and De Souza quickly capitalized on the mistake by unleashing big turns for a 7.50 and a 13.83 heat total. Fanning came back with an impressive layback hack, clean rail work and a series of critical turns for an excellent 8.17, putting him back in contention. Another wave with ten minutes remaining saw Fanning claim the lead with a 7.10. 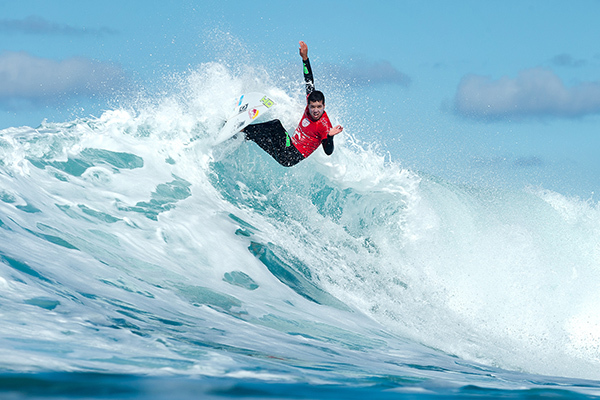 De Souza, the only Brazilian male to ring the bell, continued to demonstrate smooth, seamless surfing, searching for a 7.78 to take back the top spot. He was awarded 7.77 leaving the pair tied with 15.27 each. 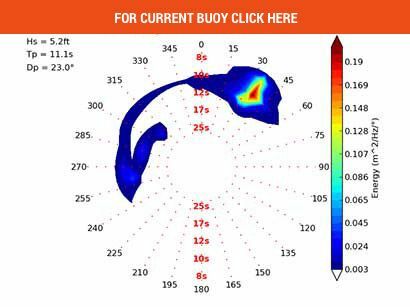 In a tiebreak situation the highest single-wave score wins the heat, which was Fanning’s 8.17. With less than two minutes remaining De Souza couldn’t find the score he needed and leaves Bells Beach with a second-place finish, 8,000 points and moves up to third place on the WSL rankings. The Rip Curl Women’s Pro Bells Beach will likely run tomorrow and see a champion crowned. Event organizers will reconvene at 6:30 a.m. tomorrow morning to assess conditions and make the next call.